Tackle and Books is a retail shop in the town of Tobermory. 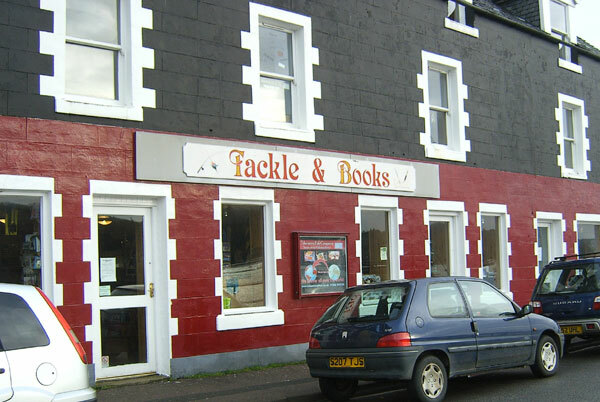 Due to its spectacular situation, Tackle and Books is probably one of the most photographed shops in Scotland. Established over 30 years, Tackle and Books supplies such diverse products as books, computer food, artist materials, fishing equipment and business services.